Johnny Depp said that after a divorce from Amber Heard he was crying and drinking vodka every day. Actor began to write memoirs to cope with the painful situation. Johnny Depp, who now travels around the world as part of the rock band Hollywood Vampires, gave a very frank interview to Rolling Stone. In it, the Hollywood star opened up about a painful divorce from Amber Heard (recall, the actress accused her husband of domestic violence) and told how his 16-year-old son Jack relates to rumors about him. Depp admitted that after the divorce from Heard "was lower than low". "The next step was just to come somewhere with his eyes open and leave with closed ones. "I just could not cope with this pain every day, "- Depp explained. He also told reporters that in order to cope with overwhelming feelings, he began to write a book of memoirs - and in an old, kind way - with the help of a typewriter. "In the morning I poured vodka into myself and sat down at the typewriter. I typed until couldn't hold back my tears so that I stopped seeing the page. I tried to understand why I deserved all this, what I did wrong. I tried to be kind to everyone, to help others, to be truthful and honest. Truth is the most important thing for me. And all the same, something happened that happened, "- said Depp. 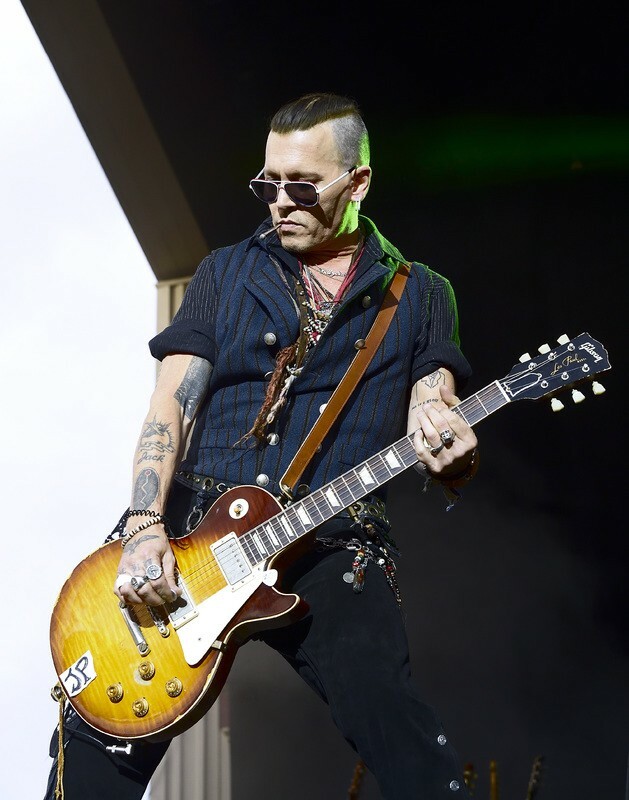 In addition, Johnny Depp noted that rumors that he went bankrupt reached his 16-year-old son Jack. "My son had to listen to all these rumors that his dad had lost all the money from children in school. This is wrong, "the actor believes. Depp commented on the rumors that he spent $ 30,000 on wine - he was criticized for a long time by the media for this trick. "I am offended by the assumption that I spent 30 thousand on wine. Because I spent much more, "Depp said in his manner. Note that in the near future Depp can be seen on the big screens in the movie "Fantastic Beasts: The Crimes of Grindelwald." In the project, the actor got the role of an evil wizard and opponent of the future director of the school of magic "Hogwarts" Albus Dumbledore. In addition, Depp played a detective investigating the killings of famous rappers in the film "The City of Lies." Actor's problems became deeper in the aftermath of the problems with money. Journalists managed to persuade him for an interview in London, where the actor arrived after a trip to Russia, and he frankly told how he survived the divorce. Then the fans drew attention to the fact that the idol looked painful. Johnny considered it wrong that his son learns about the father's poverty from the children at school. He admitted that it was not his fault, but the fault of his ex-wife Vanessa Paradis and managers of the actor. According to him, he signed the paper without reading it, and turned out to be a beggar. Now Depp reads all the documents under which he should sign, no matter how much he trusts the person who gives this document to him. However, his managers blame Johnny for embezzlement, say, he drank all his fortune. The actor is also annoyed that the managers did not block the cards of his relatives when they exceeded the allowable limit of expenses. However, the most difficult period for him was a divorce from Amber Heard in 2016. One morning he poured vodka into a glass and drank it, then again and again - until the text before his eyes turned into a smeared spot. He was trying to understand why he deserved so much grief, because he tried to do only good things all his life. After wedding with Heard, the whole Depp's family turned away from him, recognizing this relationship as a misalliance. The last two years were challenging for to the actor - he got into drugs, and when he could not get them legally, he started to prepare them himself on the basis of strychnine and arsenic. Depp decided to reconsider his way of life only in 2017, when his only friend Tom Petty died. Like Johnny, he drowned his sorrows in a bottle and was addicted to drugs. Johnny mentioned in his interview Harvey Weinstein. As it turns out, he is not in very good relations with the scandalous producer. "He was hitting on my daughter. I saw him fixing her coat when I went to pick up Lily-Rose from school, " - Depp said. Also, the Hollywood star is offended by the fact that Weinstein's film company never approved his films.